"Hand Printing Press Eroded Bold" font, like the name suggest, comes from the idea of those sheets of cardboard (o other kind of material) where the letters have been cut off in order to be used as a pattern where the ink transfers, passing through the cut, leaving its "sign" on a surface, usually paper. 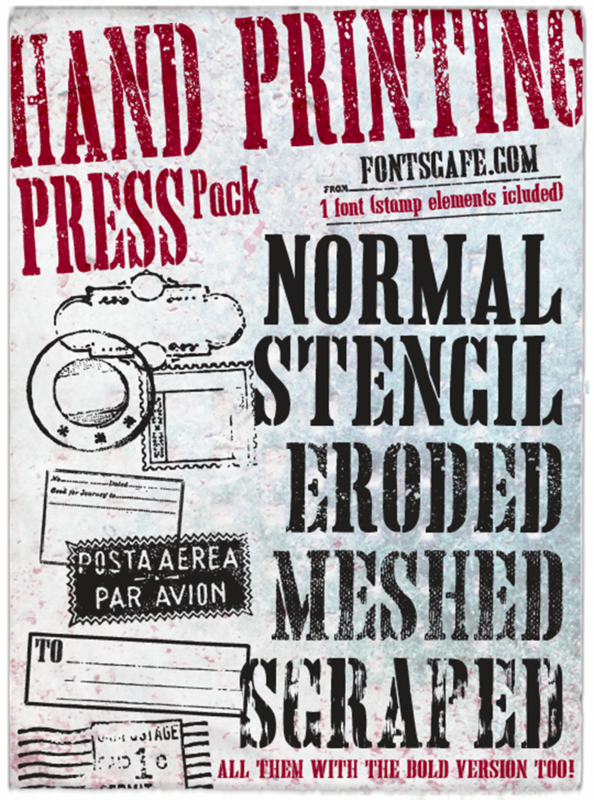 This version of "Hand Printing Press" font (just one of the whole Hand Printing Press Pack that you can find here https://fontscafe.com/font/hand-printing-press-pack-fonts) has a strong structure with an eroded effect that reminds the irregularity of the press on the paper very common when those beautiful wooden letter blocks were used with the printing press devices, an art that still is fashinating most of us. 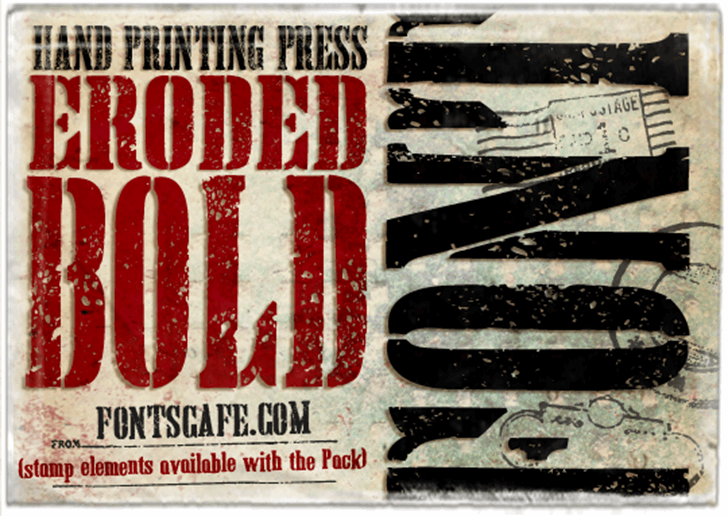 You can find this specific version on this page https://fontscafe.com/font/hand-printing-press-eroded-bold-font.